 Photoshop CS4 Now has a trial version available so you can try before you buy.  I’ve been big into Facebook lately and just re-found this LR Facebook Export plug-in that’s very cool.  Sean McCormack has updated his set of Lightroom Graduated filters to version 2.  And finally some inspiration for the day. Actually I’ve got two sites. 1) First, check out Paris (no, not Hilton – the city!) through HDR eyes. 2) Also, check out Photography By Jolene. I don’t know why but I always have a soft spot for candid children and family photos and she captures some great moments. Enjoy! Do you have an export-preset for Facebook? I think you had a tutorial about this on Photoshop user tv, but that was before I startet to follow the podcast. If you love the candid photos of kids for inspiration you should check out http://www.lilyblue.com – everytime I feel that my photo’s aren’t hitting the mark I go there for my inspiration fill up. Why can’t I see the camera profiles in the calibration panel?I had them before, but now I can’t see them. I tried to download them again, to no avail. Matt, I feel like we’re old friends by now 😉 ‘cos I viewed just about all of your lessons at Kelby Training (great stuff on CS4 and LR2), I bought your Layers book (fantastic) and used it !, and I subscribe to Lightroom and Photoshop Killer Tips on iTunes (you can relax, I live in Australia) BUT I recently upgraded to CS4, and I really like LR 2.1, so my question to you is ….. what do YOU use in your work flow, now that CS4 pretty much as all the ‘bells & whistles’ that LR 2.1 has (plus a whole lot more) ? Just curious ? Rightly or wrongly, my work flow is … import into LR2 for basic adjustments, then use CS4 for local adjustments and fine tuning, and then back to LR2 for printing (I find it ‘easier’ than Photoshop). It is all HDR, but I must say that I have been learning all from you since 2 years now. 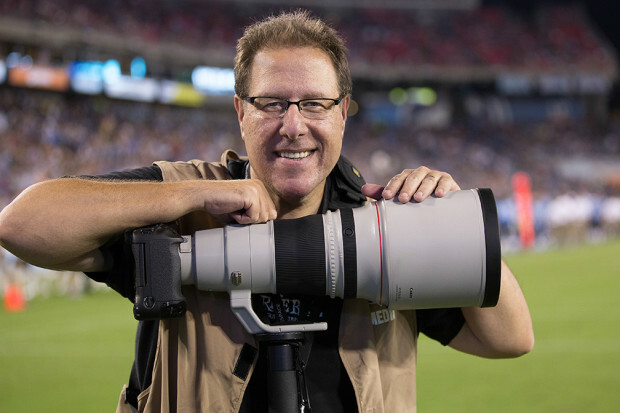 I’m also training a new photographer and all I use is kelbytraining.com and your’s and scott blog. I have a lot of sucess with my photos and you have been very key in that sucess so thks again, I would love to meet you in person, never planned to do a seminar in paris ? I also have a Macbook Pro but at the moment don’t use it for lightroom. If I start to, would it be useful to calibrate on that? great HDR pics – thanks for the link. I have a question that you might be able to help with – colour calibration. I use a 24″iMac and have recently been reading more about calibrating my monitor. In the calibration in System preferences there are various profiles including Adobe RGB which is the profile that my camera uses and apparently what my Canon MP600 also uses. At the moment the monitor profile is set at the Apple default – should i change it to Adobe RGB, or should i use a hardware calibration ? Your advice would be most welcome. I also added your Facebook profile as a “friend”. ..and those Paris HDRs are outstanding! I’ve been using the FB plug in and its very useful. I think these export plugins for LR are potentially very useful. FB is a great way to get your photos “out there”. PS – when are you and/or Scott heading over to the UK for some tours? That export to FB looks cool. I just wish there was a way to have LR overlay a .png logo in the bottom instead of just text. Nice HDR link. That some killer stuff. I love shooting HDR. I wounder how long till 32 bit dynamics are built in camera.